Bring your family and friends; we’ll bring the fondue! 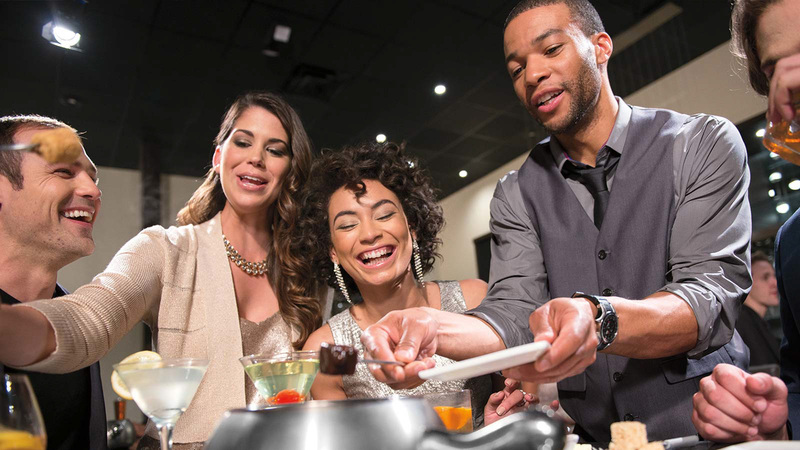 Make your next event a memorable one at The Melting Pot. Whether you are gathering to celebrate a special anniversary with your loved one or the entire gang is getting together for some much-needed catching up, you can find the space you need at The Melting Pot. Reserve a table in our large dining room or book our small or large party room for private events. Our small party room features one table with three burners that seats 10 guests, and is ideal for small, intimate celebrations. The large party room can accommodate up to 32 guests and features built-in AV equipment that is perfect for slideshows and business presentation. The reason why The Melting Pot is such a great party venue is that we offer a more interactive dining experience than any other restaurant in the area. 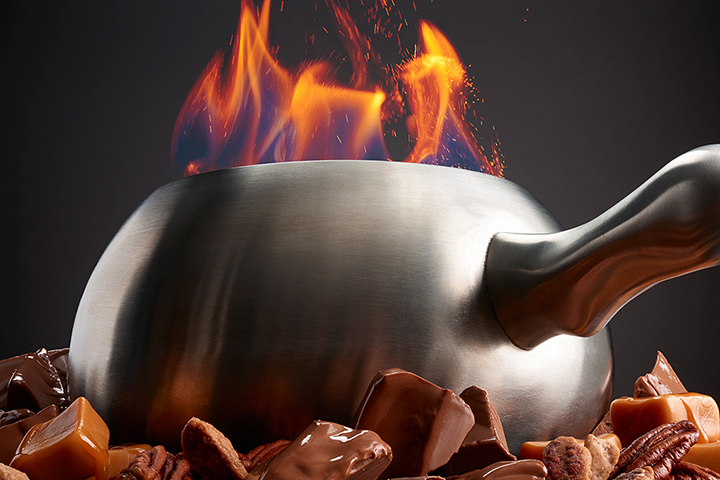 There is just something about fondue that excites people and facilitates conversation. Discuss your day and make long-lasting memories as you dip fresh fruits, artisan breads, and meats into our fondue pots. Find your favorite menu item and cooking style, order a few drinks, and connect with your friends on a new level at our Buffalo fondue restaurant. Contact us today at 716-685-6358 to book your large party. Surprise your guest with a Celebration Package to make your evening just a little more special. We offer Rose Arrangements and Balloon Bouquets that include a framed photo of your evening. Order any of the packages below when making a reservation so we have it ready and waiting when you arrive. Prices subject to change on holidays or special event nights. Please note a 12 hour notice is required for all rose packages. One rose in a vase commemorative photo in a frame. Six roses in a vase and commemorative photo in a frame. Twelve roses in a vase commemorative photo in a frame.